Eric and Danielle Wilson welcomed a beautiful baby boy into the world on January 20, 2015. At 8 pounds, 10 ounces, he seemed a perfectly healthy baby. “I’ve waited so long to meet you, Cooper,” Danielle Wilson wrote on the family’s Crowdrise page. Thirty-six hours later, they received unexpected news. Cooper was born with Acute Myeloid Leukemia (AML), a form of leukemia common to adults that affects bone marrow, blood cells and platelets. Only 500 cases of juvenile AML are diagnosed in the U.S. each year, according CureSearch.org. 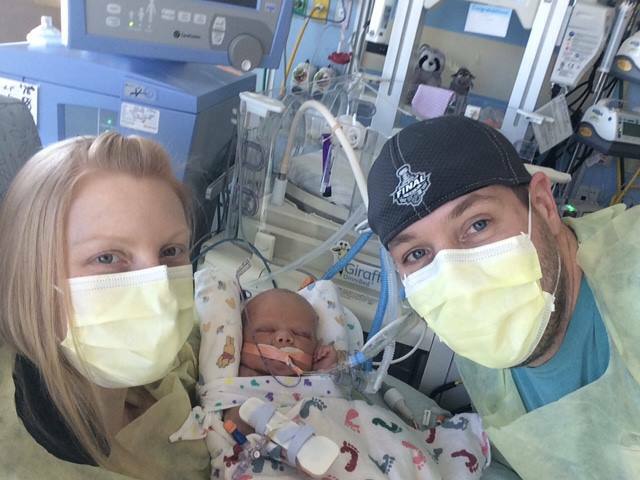 Following the diagnosis, the Wilsons reached out to their extended family — from California to New England — for money and support as Cooper undergoes treatment in the Level 4 NICU at Rocky Mountain Children’s Hospital in Denver. They’ve received emotional support from others facing similar diagnoses, as well as unexpected partners, like the Lazy Dog restaurant in California, where Eric and Danielle first met. 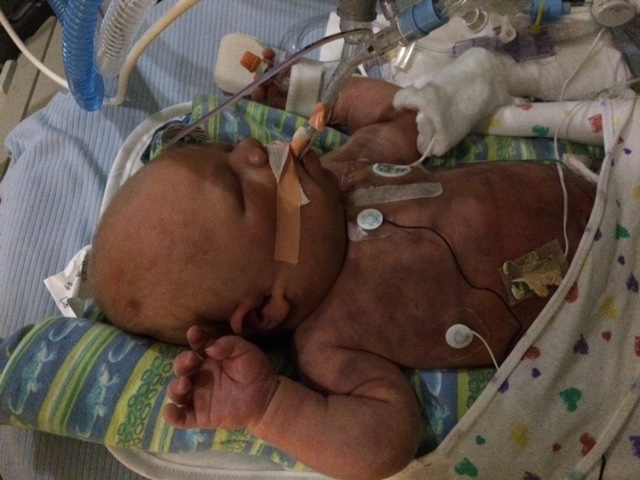 The Wilson family are currently raising funds and awareness of Cooper’s diagnosis on Crowdrise. They’re more than halfway towards their goal of $100.000. As of yesterday, Cooper just celebrated his one-week birthday. 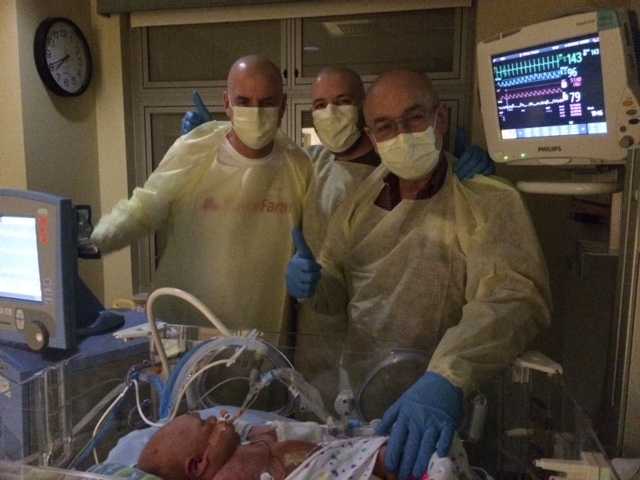 Follow their progress and support baby Cooper on Facebook with the hashtag, #CooperStrong.